Sewing Thread 25M 30 Spools. 25m per Spool l Spool Size 2.9 x 2.2cm (Dia). 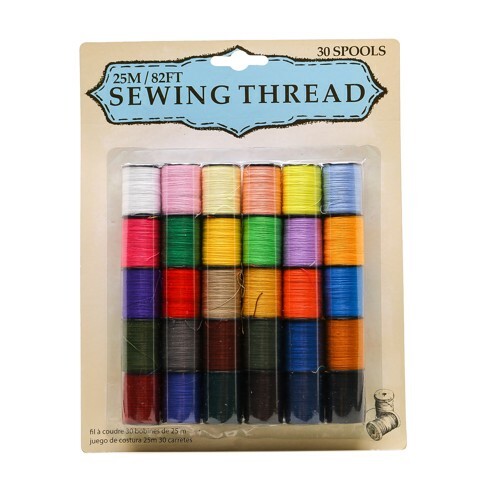 30 Assorted Colours Of Thread: White |Light Brown |Yellow |Green |Red |Pink |Light Green | Light Blue | Light Purple | Grey | Dark Grey | Light Brown | Dark Purple | Black |Blue | Purple | Dark Brown. Polyester Threads. 99G Packaging: Blister Card.